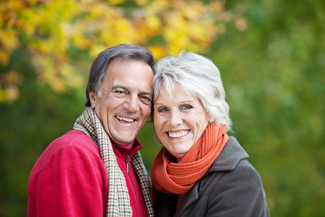 Why do people choose dental implants in Edinburgh? 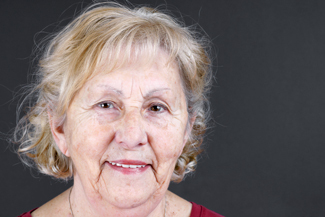 At Edinburgh’s Polwarth Dental Clinic, patients with missing teeth often want a solution that looks and feels better than removable replacement teeth like traditional dentures. The strength and durability offered by implant dentistry can give patients increased self-confidence as well as boost their biting and chewing ability. Another benefit is that the overall cleanliness of the mouth is easier to maintain. When a gap is permanently filled, there’s less chance of plaque and tartar building up in that area, leading to tooth decay and gum disease. As well as helping with oral cleanliness and dental strength, dental implants in Edinburgh can also ensure your face maintains its natural shape and structure. The ‘sunken’ look often associated with people who wear dentures is avoided because of the integral relationship between the implants and the jawbone. Here’s how it works. After a detailed consultation with one of our dental professionals, and the careful construction of your treatment plan, you will be ready for your dental implants. Dental implants are small titanium posts that are inserted into your jawbone during a minor surgical procedure, carried out under local anaesthetic. The implants stimulate the jawbone to grow new bone to mesh around them. This creates a stable bond, which once the replacement teeth are attached on top, stimulates the jawbone in the same way natural teeth would. This is what keeps it healthy. People with all kinds of tooth loss can benefit from dental implants in Edinburgh. Sporting mishaps can leave a gap in your front teeth that causes a drop in self-assurance. Or it might be that you’ve lost several teeth over the years and you haven’t got round to sorting them out yet. Whatever the extent of your tooth loss, and whatever stage of life you’ve reached, missing teeth put your oral health at risk. Implant dentistry is a modern remedy that will reduce this risk, while enhancing the appearance of your smile. Contact the team at Polwarth Dental Clinic and we’ll be happy to get you on your way to having a healthier smile. This entry was posted in Dental Implants on 28th June, 2017 by Polwarth Dental Clinic. Getting dental implants in Edinburgh with Polwarth Dental Clinic can change your life. Restoring your teeth means giving you back functionality that is fundamental to the enjoyment of life, such as eating, socialising and speaking. If you have been living with missing teeth for a while, you know about the difficulties inherent in having gaps in your smile. We want to help you fix your dental issues so you can get on with any activity you feel like doing. 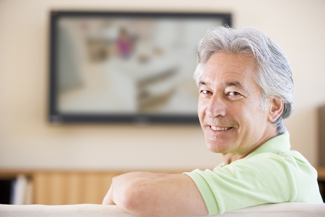 What happens first when you get dental implants in Edinburgh? Our consultation service is the first step to getting dental implants in Edinburgh with us. This is where we take a look at your teeth and any gaps. Placing dental implants where they can support the machinations of chewing and other activities is a precise art. You want your implants to be positioned where the jawbone is thickest, if possible. If all of your other teeth are healthy, they can stay put. Having dental implants should not affect them. However, if your teeth are deteriorating and it looks like they will not last much longer, one of our team will talk to you about the possibility of extraction. 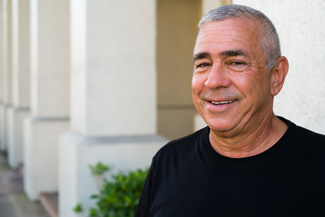 If you decide to go ahead and have these teeth removed, it means you will not have to go through the dental implant procedure again at a later date. You may also need extraction work if the remains of old teeth are still present. The consultation also involves a series of questions to determine your suitability for dental implants and check if there are any risk factors for failure. It is important that you give full and frank answers to these questions as, if there are risk factors, your dentist may be able to do things to mitigate them. There are some medical conditions that affect the body’s ability to accept implants and lifestyle factors, like smoking, which also have an impact. Once the consultation is complete, your dentist will use all the information they have gathered to build a complete, personalised treatment plan for you. This will give you expected appointment times, treatment information, a breakdown of costs and advice about any required preparatory work. You can ask any questions you have at this point, before agreeing to go ahead. This entry was posted in Dental Implants on 19th May, 2017 by Polwarth Dental Clinic. 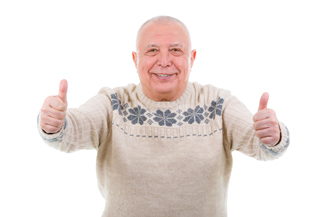 Are you missing teeth and putting up with ill-fitting, loose dentures? 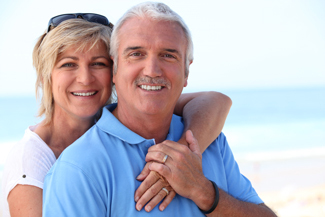 There is an alternative which we offer for patients looking for dental Implants in Edinburgh. 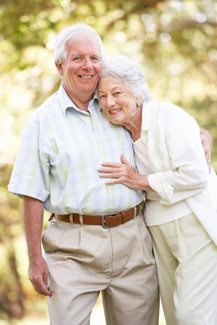 Oral health declines when you are older and can sometimes leave you missing one or more teeth. Or sometimes it’s an accident or injury, striking at any age, which causes tooth loss. Either way, the results can be detrimental to your confidence and so you might be thinking about how you can fill those gaps without enduring lifelong denture use. In Edinburgh, dental implants are available at our dental practice, Polwarth Dental Clinic. We can help restore smile, no matter how many teeth you have lost. In Edinburgh, dental implants have been around for decades, but many people are still content with the more traditional approach to treatment, namely dentures. While dentures fulfil their purpose as fake teeth, they are not as good a replacement as dental implants. 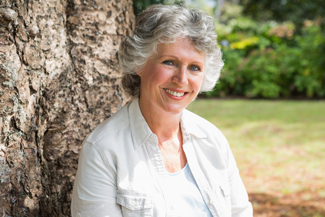 There are 4 fundamental differences between dental implants and dentures. Firstly, implants are drilled into your mouth while dentures are models of your teeth that fit over your gums. Secondly, implants cannot be removed while dentures can, which is why they often shift about when being used. Thirdly, dental implants are considered to be a closer replica of natural teeth as they replace both the crown and the root. Finally, dental implant treatment is more expensive in the short-term. However this investment pays off in the long-term as they can last a lifetime, while dentures usually need replacing every 3–8 years. Each dental implant comes in three parts: the titanium screw inserted into your jawbone, the crown that serves as a replacement tooth, and the abutment that joins the two together. When our dentist fits your dental implant, the screw is drilled into the jawbone with local anaesthetic to numb the pain. An abutment connects the screw to the crown, which is attached last after a period of healing, during which time the screw secures itself into your jawbone. The loss of natural teeth can leave you feeling anxious about smiling, laughing or even talking. Dental Implants in Edinburgh at our friendly practice allow you to regain your confidence and smile proudly. This entry was posted in Dental Implants on 15th May, 2017 by Polwarth Dental Clinic. When you look in the mirror are you happy with what you see? Does your smile need a makeover? Maybe it’s time for you to take that next step to achieve that smile you have always wanted. In an ideal world, your teeth should last a lifetime. Sometimes, this just isn’t the case. For many years, we have looked for alternative options when our teeth just don’t live up to our expectations. Well, here at Polwarth Dental Clinic in Edinburgh, dental implants could be just what you have been looking for to fill those unsightly gaps left by missing teeth. Dental implants consist of titanium screws placed directly into the jawbone. They are designed to replace not only a single tooth but also multiple teeth if required. During a period of healing, the titanium screws fuse to the jawbone, creating a seamless join and a secure foundation for the attachment of artificial, replacement teeth. This technology has been used for over 30 years. It is ever evolving and today is the most reliable and effective way to treat tooth loss. We can offer you a huge array of benefits at Polwarth Dental Clinic in Edinburgh. Dental implants are becoming ever more popular with our patients. We hope you can be next in our practice to get that happier and healthier smile you have always wanted. Dental implants are the closest alternative to our natural teeth. This is not only in appearance, but they fit and function like natural teeth too as they replace the tooth root, which dentures alone will not. Dental implants in Edinburgh are built to last. Our dental implants could last a lifetime, with just some periodic adjustments and regular check-ups at our practice. Not only will your teeth be restored, but dental implants also allow the natural shape of your face to be maintained. Tooth loss causes jawbone degeneration, which can result in a sunken-cheeked appearance – that is, if dental implants aren’t used to prevent this bone shrinkage. So call Polwarth Dental Clinic in Edinburgh; dental implants could change your life for the better. This entry was posted in Dental Implants on 12th April, 2017 by Polwarth Dental Clinic.